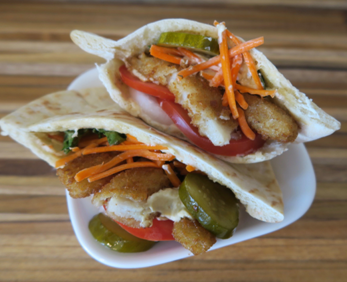 Delicious fish stick pita with butter bean sauce. Bake fish sticks according to box directions; keep warm. Carefully open the pita pockets and smear sides with the butter bean tahini. Fill pockets with baked fish sticks, onion. tomato, shredded carrot and pickles.